A couple of years ago I had a pot of Dr. LeWinn’s Revitalizing Hand Polish, which lasted for months and gave me the softest hands around. The pot was a little unwieldy though, and always ended up in the “too hard to pack” basket when I travelled abroad. 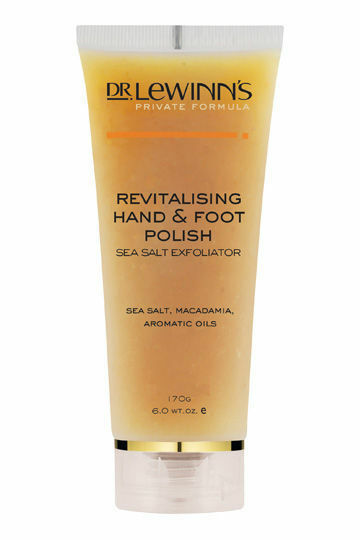 Fast forward to this month however and I have my mitts on the polish in its newest incarnation - Revitalising Hand & Foot Polish, in a tube! This baby is a delicate yet incredibly effective natural exfoliator and moisturiser, and finally acknowledges that this product is as effective on the feet as it is on the hands. 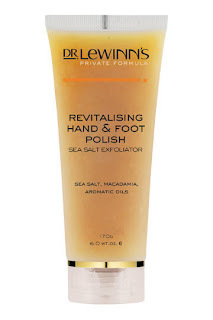 Rich in minerals and moisturising oils like macadamia nut, this ultra luxe sea salt treatment softens, smooths and exfoliates hands and feet, over time improving circulation and stimulating skin cell renewal. The result is seriously smooth, refreshed and revitalised skin that will be far too pretty to hide.